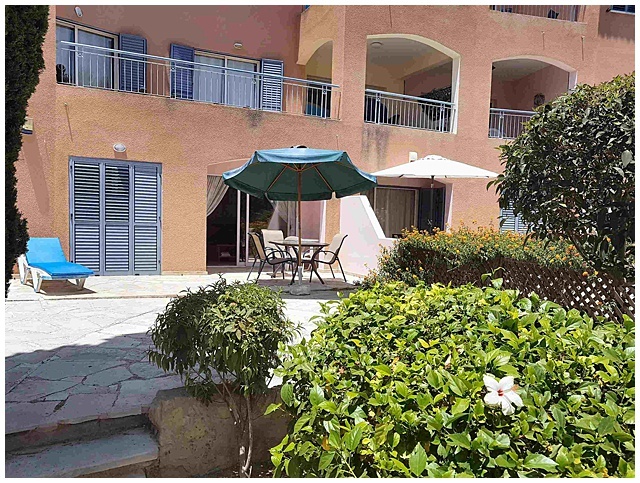 This two bedroom two bathroom apartment is on the ground floor and faces the pool. It has a large terrace, WiFi and UK TV. Living Room - Air conditioned, ceiling fan, lounge seating for five, dining table and four chairs. 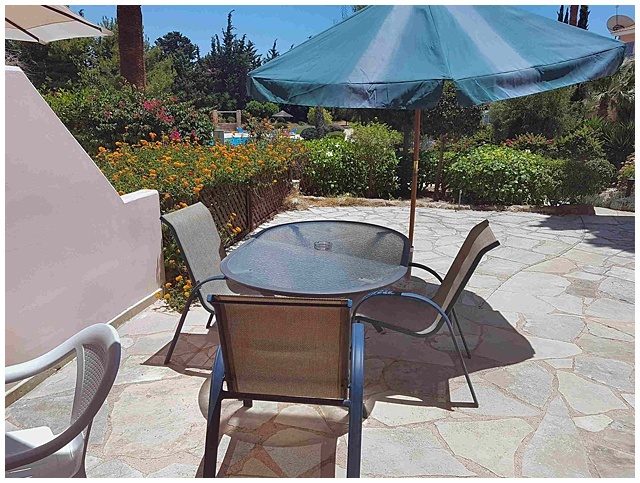 Terrace - Very large south-facing 50m2, pool-facing terrace furnished with a table and chairs. Ideal for outside dining or private sunbathing. The apartment has four private sunloungers. 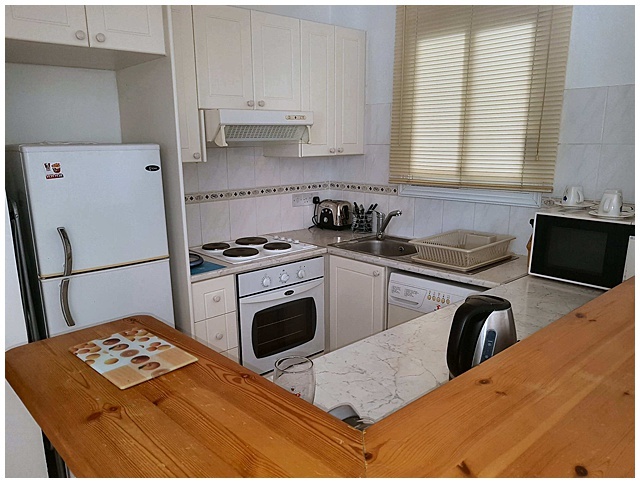 Kitchen - Washing machine, fridge/freezer, microwave, oven, grill, toaster and kettle. Bedroom 1 - Air-conditioned, double, ceiling fan, fitted wardrobes, doors onto the terrace, ensuite with walk-in shower. Bedroom 2 - Air-conditioned, twin, ceiling fan, fitted wardrobes, doors onto the terrace. Additional Features - Free WIFI, alarm system, safe, hairdryer, iron and ironing board. 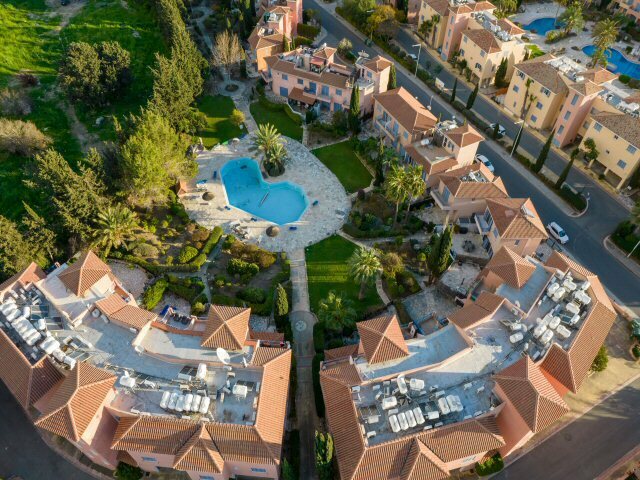 Complex - Consisting of 55 units with a large swimming pool. The complex is only 300m from the seafront with the beach and main bar and restaurant area all less than a 5-minute walk from the apartment. 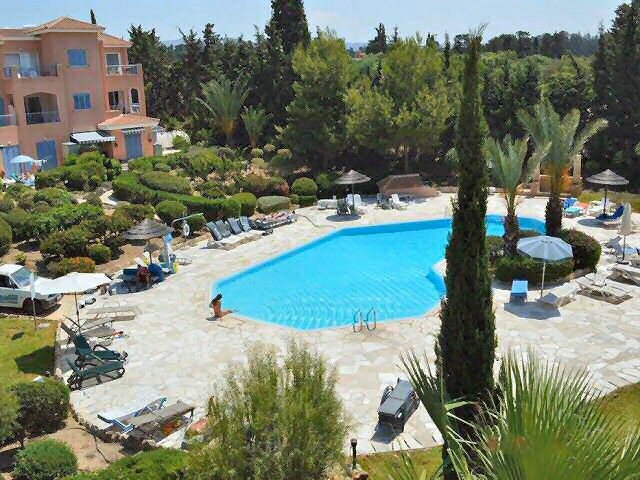 Limnaria Villas is next door to Limnaria Gardens and is a separate complex. December 2018 - Excellent - description and photos accurate. Also, 2 keys to the front door which is very useful. Would recommend to a friend or relative. 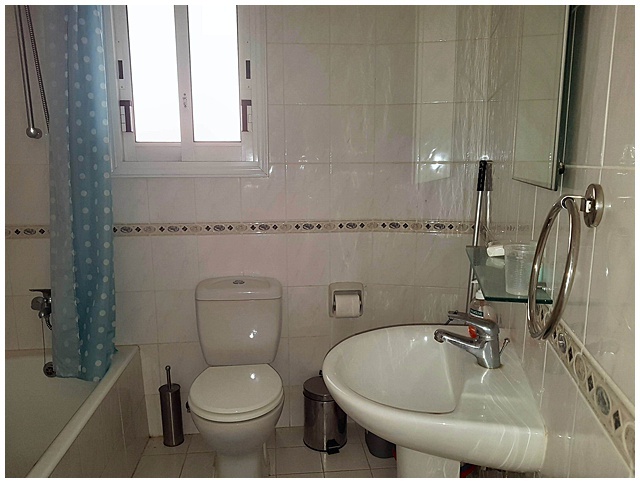 September 2018 - Lovely apartment with big fairly private terrace near to the pool. Great location for restaurants and easy walking distance to the harbour. We particularly liked Billy's Bar as the food there was so fresh and tasty with reasonable prices. August 2018 - Second time in the apartment and again, we had a lovely stay. 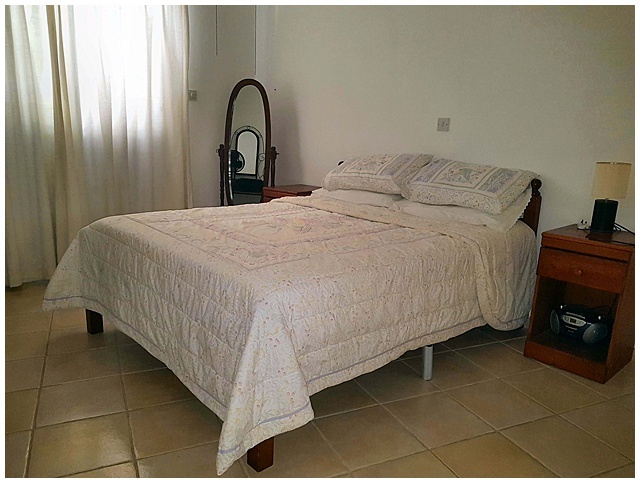 Great spacious apartment in a very central location. Wonderful holiday, thank you. July 2018 - Nice apartment, close to the pool and very quiet. I have found the apartment like home. May 2018 - The description was accurate and the property manager provided good customer service, Definitely recommend. Loved all the restaurants nearby. January 2018 - Excellent property just as we had hoped. Well equipped and comfortable. We know the area well and this was a last minute booking to the villas where we stay at least twice a year. Would happily recommend property. 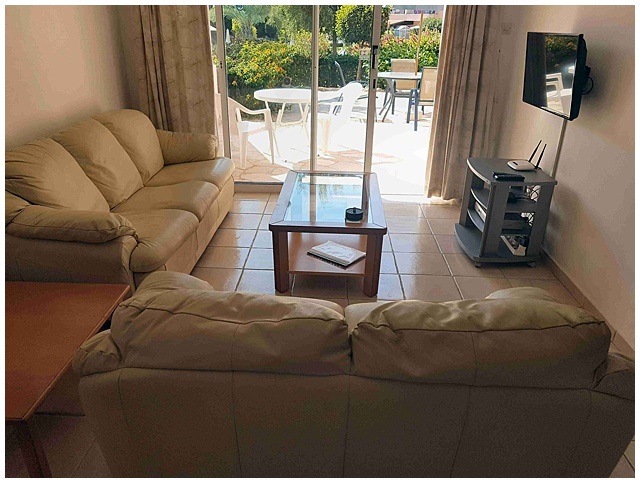 September 2017 - This was our first time in this particular apartment, the location is fantastic, a large patio leading directly to the pool. Would definitely book again when available. 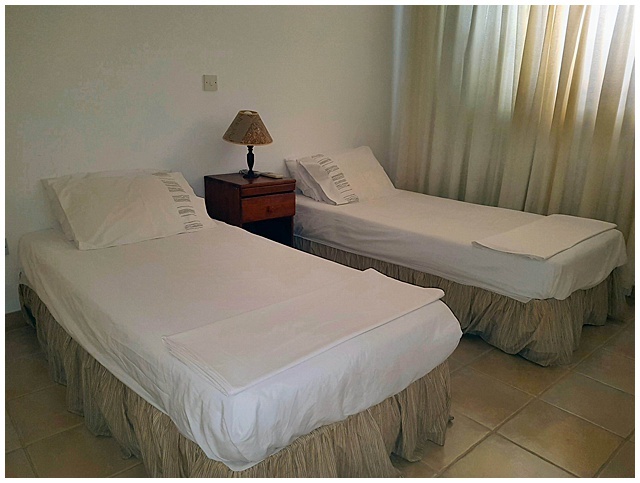 I find Limnaria Villas to be the quieter side which suited us fine. August 2017 - What a wonderful holiday we have had! Lovely spacious and clean apartment with a huge patio. Comfortable and cool bedrooms with plenty of crisp clean bed linen. 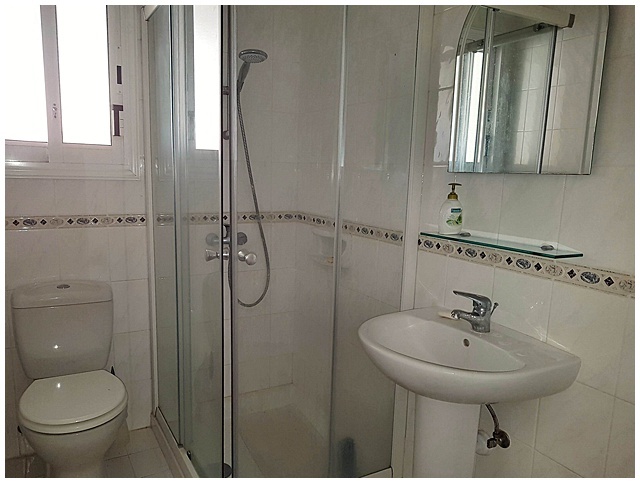 Two bathrooms (one en suite shower room, one bathroom with shower). Fully fitted and functional kitchen. 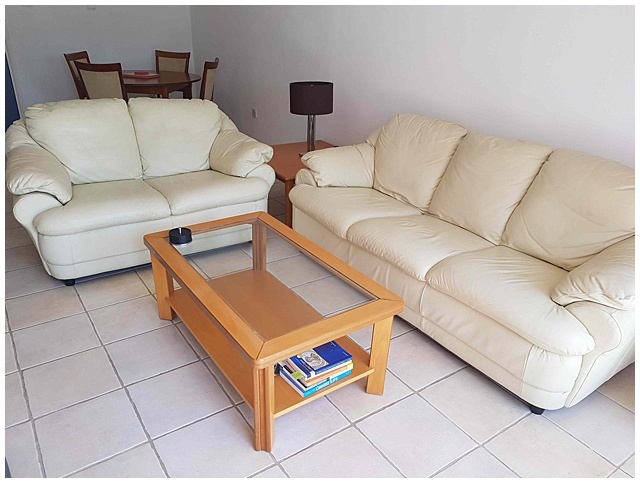 Comfortable and spacious living area with a great T.V bundle. Clean well kept pool and area. Inside and outside dining areas and an all round great and very safe place to stay. 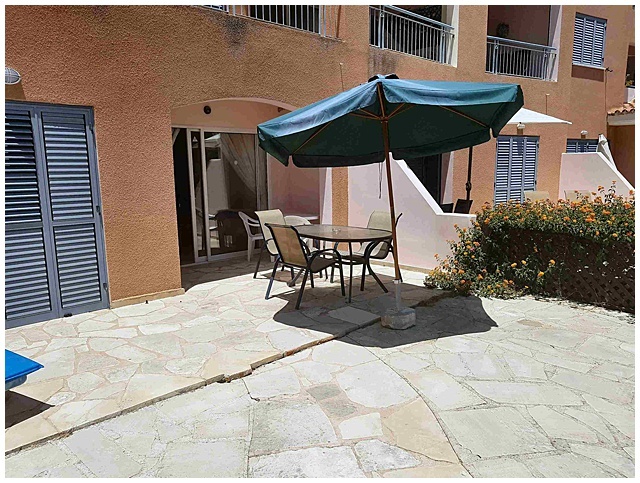 Access to the apartment was simple - I have always stayed in hotels in Paphos and any concerns I may have had gaining entry were unfounded. We arrived late to the resort and were surprised by the owners generosity in providing fresh milk, coffee and good old yorkshire tea. An array of other household sundries were also provided such as washing powder, soaps and cleaning products,pool and bathroom towels - in fact, nothing was overlooked. 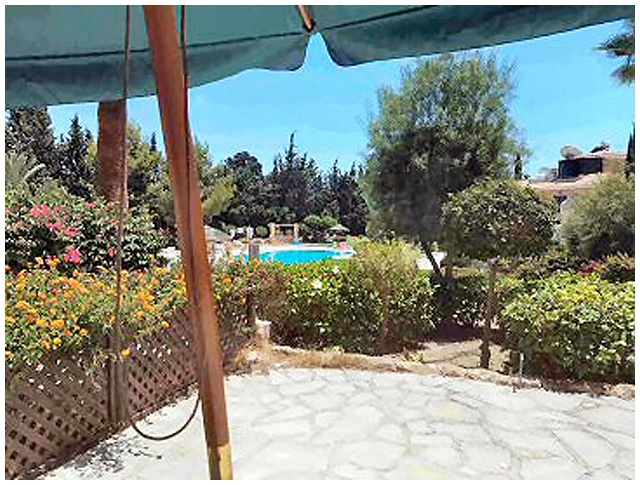 The complex and Paphos area accommodates travelers of all ages. The first week my friend shared the apartment and then my teenage son arrived as she departed. Fun was had by all and we were all sad to leave our temporary holiday home. The owner's customer service was outstanding hence , I would highly recommend this apartment. Friends who have holidayed twice yearly in Paphos for over 25 years came for tea and were impressed on all levels. 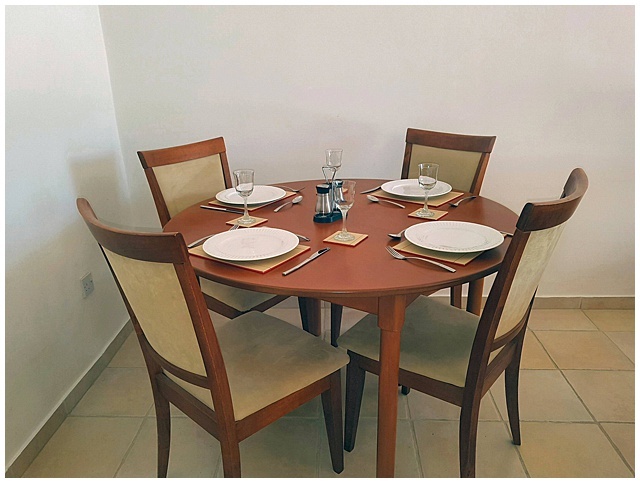 The beach and harbour were both within easy walking distance (5-10mins and 15-20 mins respectively), making this an ideal location especially if, like us, you do not hire transportation. There are an abundance of good restaurants within a few minutes walk and great places to unwind for a drink after your meal-our favourite being the "Why Not" bar/cafe. I hope to book the apartment next year if available.